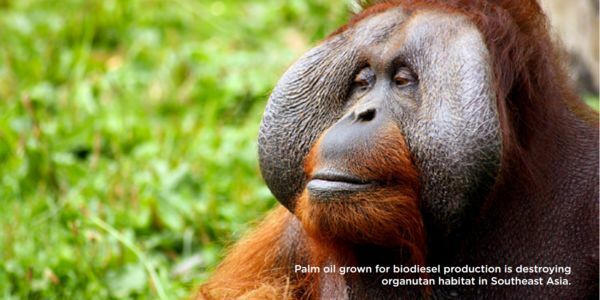 A new report by Mighty Earth shows how massive deforestation in Argentina, Indonesia and elsewhere is linked to U.S. biodiesel mandates. These countries are "hot-spots" for deforestation, which is driven by the expansion of industrial agricultural for soy and palm oil, the same crops being turned in biodiesel. Behind this is a U.S. law, the Renewable Fuel Standard (RFS), which mandates increasing biofuels consumption through 2022 and has driven Argentina and other countries to increase agricultural and biodiesel production. Join us in asking Congress to reform this policy. Policymakers have a major opportunity this year to end mandates for polluting, dirtier-than-oil biofuels. Ask your member of Congress to take action now!